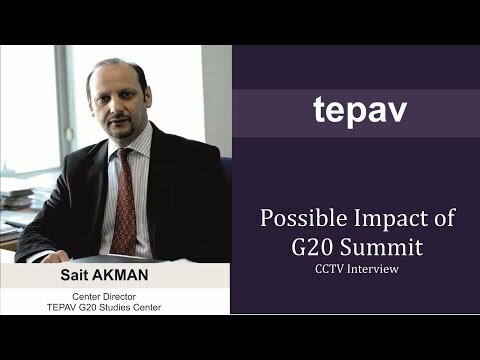 TEPAV | What Did the G20 Accomplish During China's Presidency? With this communique, the G20, for the first time, assumed the character of a truly effective global governance institution. A new institutional vision and institutional values of “integration,” “openness,” and “inclusiveness” are formulated to catalyze new drivers of growth and to bring together the diverse interests in the world economy. In doing this, the communique presupposes leadership in the global economy, partnership, creativity, synergy, and flexibility. Most centrally, China’s G20 presidency emphasized action over words as President Xi Jiping underlined in his opening speech at the G20 Hangzhou summit and as reflected in action plans and cooperation initiatives adopted by the communique. The following are some highlights from the communique on the new innovation agenda and on global governance. The section on “Breaking a New Path for Growth” addresses the central vision adopted by the communique to “strengthen the G20 growth agenda to catalyze new drivers of growth, open up new horizons for development, lead the way in transforming our economies in a more innovative and sustainable manner and better reflect shared interests of both present and coming generations.” This growth agenda takes innovation as a key element to tackle weak growth trends in the global economy and in doing so, to address global imbalances, to create new and better jobs, and to ensure a cleaner environment. A G20 Task Force was set up to advance innovation, the new industrial revolution (NIR), and the digital economy as well as to ensure continuity and coherence with past and future presidencies and to promote synergies with other G20 work streams. The G20 leaders adopted the G20 Blueprint of Innovation, the Digital Economy Development and Cooperation Initiative, and action plans for Innovation and the New Industrial Revolution. Priorities for innovation, new industrial revolution (NIR), and digital economy are expressed in inclusive terms balancing developed and developing countries’ interests, promoting rules and principles to ensure the flow of innovation, as well as supporting policies and enhancing dialogue and cooperation to ensure benefits extend to all . On the innovation agenda, critical for developing countries is the emphasis on “voluntary knowledge diffusion and technology transfer on mutually agreed terms and conditions.” Related to this is the emphasis on Intellectual Property Right (IPR) protection and open trade and investment regimes. The leaders’ endorsement of the G20 Guiding Principles for Global Investment Policymaking may pave the way for a multilateral investment framework to address uncertainties associated with cross-border investment and facilitate global flow of innovation. Similarly, leaders commit to promoting open science and to facilitating access to public funded research results on findable, accessible, interoperable and reusable (FAIR) principles. On the new industrial revolution, the communique underlines cooperation to ensure benefits and mediate negative effects of anticipated technological and industrial changes taking into account opportunities and challenges these represent for both developing and developed countries — for instance, addressing the loss of employment due technological change and challenges to develop new skills. Of equal significance, the agenda points to new industrial infrastructure and industrialization globally as well as in developing countries, especially those in Africa and Least Developed Countries (LDCs). On the digital economy, last year at the Antalya summit, the word internet for the first time entered a leaders’ communique (paragraph 26) with a focus largely on cybersecurity and IPR protection (a concern of the United States at the time). Reaffirming these commitments, the focus this year has been on fostering conditions for digital economy development and on tackling the digital divide, including affordable broadband access, increased flow of information while respecting privacy, and personal data protection. The spread of digital technologies were made central to the financial inclusion agenda. The G20 Strategy for Global Trade Growth adopted by leaders this year endorses e-commerce development. Leaders also took note of the B20’s initiative on Electronic World Trade Platform (eWTP) to strengthen digital trade. In addressing economic issues, the communique emphasized governance to bring into focus institutional values of “integration,” “openness,” and “inclusiveness” as well as leadership in the global economy, partnership, creativity, synergy, and flexibility. First, representational challenges in global governance are addressed. The leaders call for a new IMF quota formula by the 2017 Annual Meetings to reflect “increased shares for dynamic economies in line with their relative positions in the world economy.” In the communique, the G20 leaders underline the importance of protecting the voices and the representation of the poorest members. In a continuation on this theme, the communique notes the Paris Club as the principal international forum concerning debt restructuring. However, so far the Club includes only rich countries, and so the communique calls for the Club to extend its reach to emerging market creditors. In this regard the leaders welcomed the recent admission of the Republic of Korea and Brazil’s decision to join, as well as noting further discussions on China’s membership. Second, the communique points to cooperation and coordination between regional and multilateral initiatives. For instance, the leaders called for cooperation between the IMF and Regional Financing Arrangements (RFAs) while respecting their mandates. Under the Chinese G20 Presidency, 11 multilateral development banks (MDBs), including new ones led by emerging markets such as the Asian Infrastructure Investment Bank (AIIB) and BRICS New Development Bank, signed the Joint Declaration of Aspirations (JDA) on actions to support infrastructure investments. China also launched the Global Infrastructure Connectivity Alliance initiative highlighting synergies and cooperation among different regional programs. 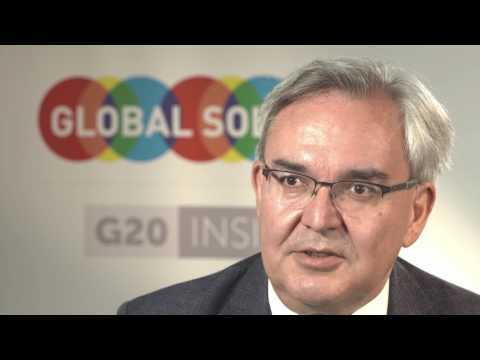 The G20 leaders have asked the World Bank to serve as the Secretariat of the Alliance. Third, the communique is striking in the way it addressed diverging opinions. For instance, the communique did not shy away from discussing technology transfer issues, which were previously shunned by developed countries’ multinationals. This is balanced by an emphasis on IPR protection. Similarly, the discussion on the remaining Doha Round issues in WTO negotiations is offers a full range of perspectives advanced by both developing and developed economies on issues like all three pillars of agriculture (ie. market access, domestic support, and export competition), non-agricultural market access, services, development, Agreement on Trade-Related Aspects of Intellectual Property Rights (TRIPs), and rules. Chinese presidency had set out to explore institutional possibilities for effective governance of the world economy with the objective of stimulating growth through technological change and innovation, and making growth sustainable by seeing to it that it is environmentally friendly and truly global in scope (ie. inclusive of developing countries as well as the developed ones). This question of equity pervades all aspects of the growth agenda, from technological change and innovation to the new industrial revolution to digital economy expansion. İt is also central to a recasting of the governance agenda, in terms of the emphasis on global representation and on the creation of platforms to include diversity of perspectives in the governance of the world economy. It remains to be seen whether or not this proactive perspective on governing the world economy will have chance in a world where isolationism and protectionism — especially in developed countries — appear to be the prevailing trends. We now turn to Germany to see whether it can live up to the challenge and put aside the “dysfunctional belief systems” (as the Harvard economist Ricardo Hausmann put it) that threaten openness and inclusiveness and are harmful for both national and global well-being. Feride Inan is a policy analyst at the Economic Policy Research Foundation of Turkey (TEPAV), the Think 20 leading institute under the G20 Turkish presidency. She is also a visiting research fellow at Chongyang Institute for Financial Studies, Renmin University of China. This article was published in The Diplomat on September 09, 2016.